Immediately after the holidays is the time when I start tiring of my winter wardrobe. The blacks, navy blues, grays and browns that make up the majority of my winter clothing start to look a bit sad and depressing and the holiday sparkle starts to look a bit out of place. To brighten up my outfits, I like to add small punches of color that remind me of the warm months ahead. Marketplace scarves are the perfect accessory to add some warmth to any winter look. 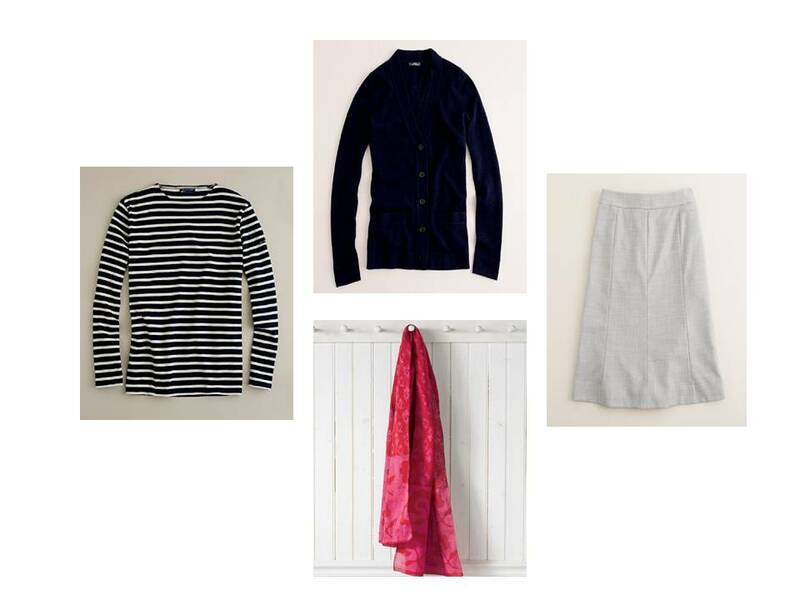 For a daytime look that consists of a nautical stripe shirt, navy cardigan and gray skirt, I would add a bright pink batik scarf, tucking the ends of the scarf into the cardigan. It adds some pop to the outfit while still leaving it appropriate for daytime. Even better, I can definitely use the scarf throughout the spring and summer months with lighter colors and dresses. 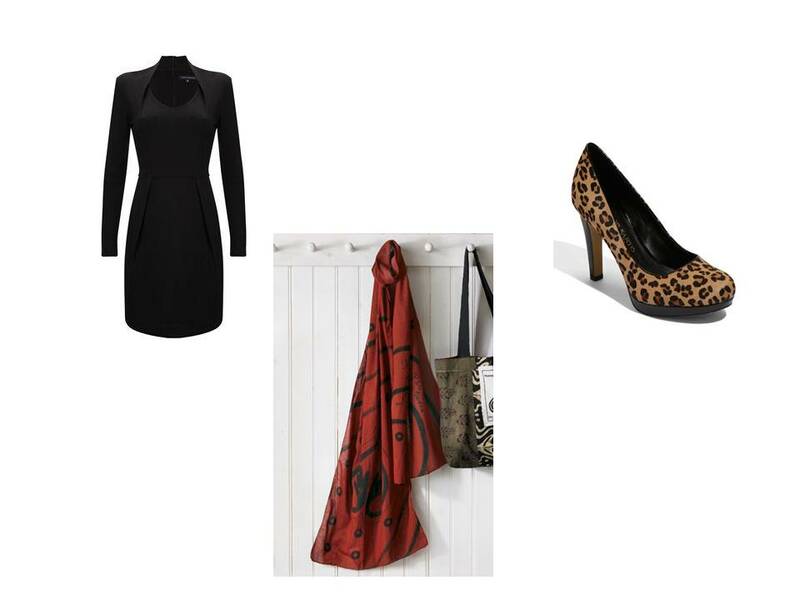 For a nighttime look that consists of a fitted, little black dress and pumps, I would add a red and black scarf, knotting it at my neck. The scarf adds bold color without being over the top. Besides the warmth it adds, it is extremely versatile and I could see myself using it as a belt paired with black pants and a white top. Marketplace scarves offer an array of options throughout the seasons. I guarantee your Marketplace scarf will become a personal favorite item that will work with so many different pieces of your closet! Click here to see all MarketPlace Scarves! Clothing images from http://www.marketplaceindia.org, http://www.jcrew.com, http://www.frenchconnection.com, http://www.nordstroms.com. Previous Post: 5 Ways To Look Good (and Save) In The New Year! Next Post: Where Fair Trade and Green meet!